For the benefit of our Sheffield residents we have created some brilliant value for money packages. They are designed to cater for the most common needs asked for by you. We offer great prices which ensure your future home security and safety. 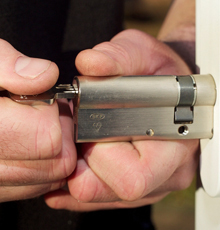 SF Locksmith packages are tailored to your property's specific needs and requirements. Have you moved home or are planning to? Then this special package is for you! Have you considered who may have a spare key to your new home? In the unlikely event that a key is used to gain access to your home, it will be better to be safe, rather than sorry. Our packages are all individually priced for each home and is dependent on the type of doors you have. We would also recommend that if you have a garage door, then this lock is changed at the same time. The benefit is that all locks that are fitted will be British Standard, insurance approved locks so ensuring the best possible future security. For your convenience an appointment can be arranged to have the locks changed the day you move in as well. In Sheffield at the moment "lock snapping" is on the increase and will continue to do so whilst there are the old style euro locks still fitted on doors. If you have been the victim of lock snapping, know someone who has or read about it in the papers or on the interent you will realise how quick and easy it is to break the standard euro cylinder. With this in mind SF Locksmiths have put together this fantastic "anti-snap lock replacement package". The average home has three euro cylinders fitted to it's doors and the price to change all three is £150 in total. Extra locks are just £35 each and all come with a 5 year guarantee. We are able to offer these prices from having direct contact with the manufacturers of the leading anti-snap lock produced at the moment. This particular anti-snap lock offers added protection against drilling, picking, bumping and attack. There is no better cylinder on the market at the moment. A professional job at a fair price by an honest man. Would def recommend to anyone.